Orthoherb is a unique formula containing 23 herbs. 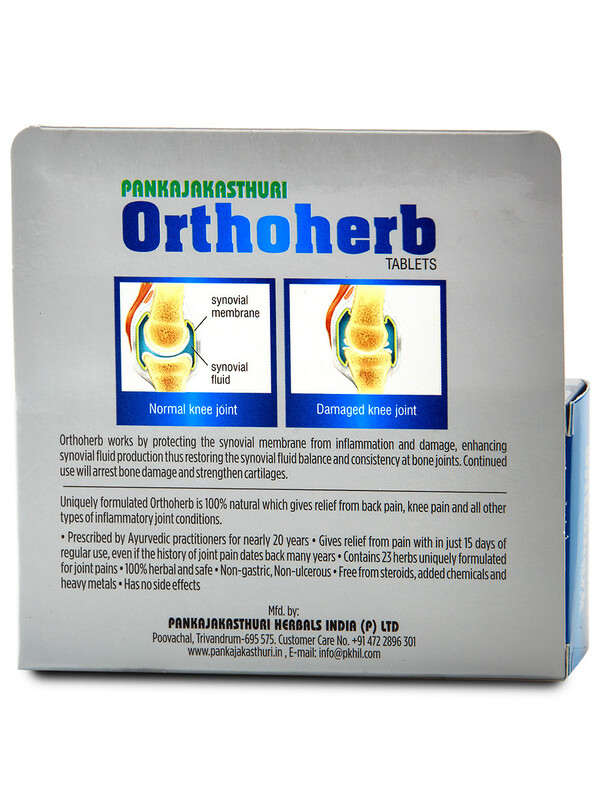 Continued use will arrest bone damage and strengthen cartilages. 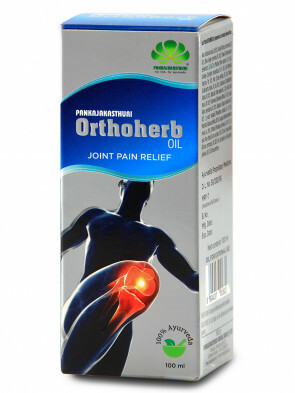 The uniquely formulated Orthoherb is 100% natural and gives relief from back pain, knee pain and all types of inflammatory joint conditions. 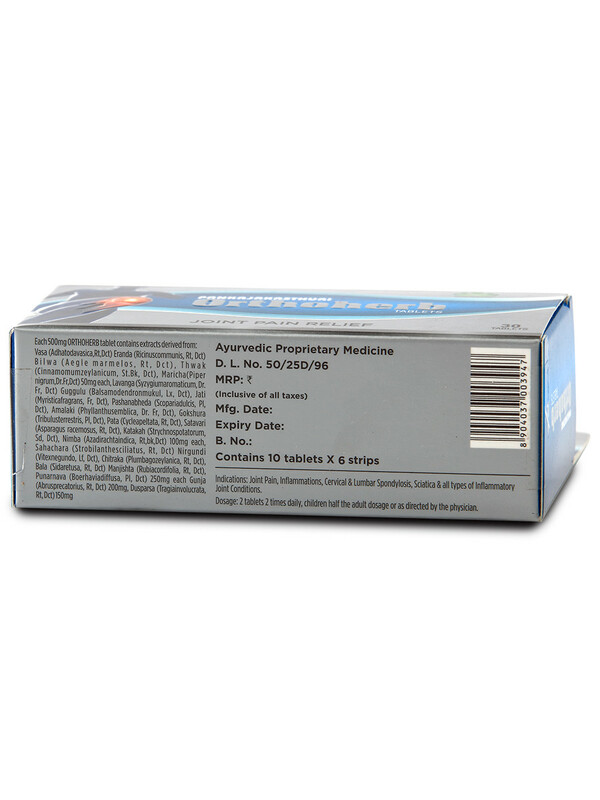 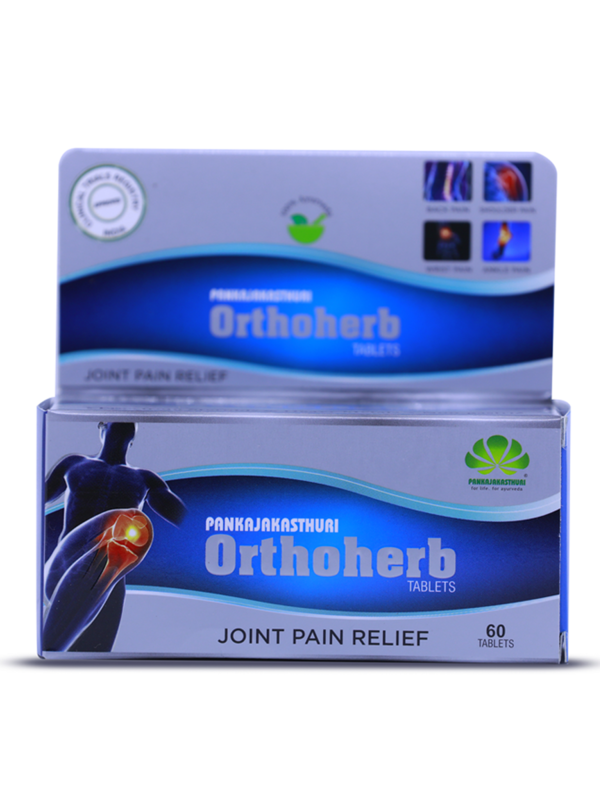 It is prescribed by Ayurvedic practitioners for over 20 years and contains 23 herbs uniquely formulated for joint pains. 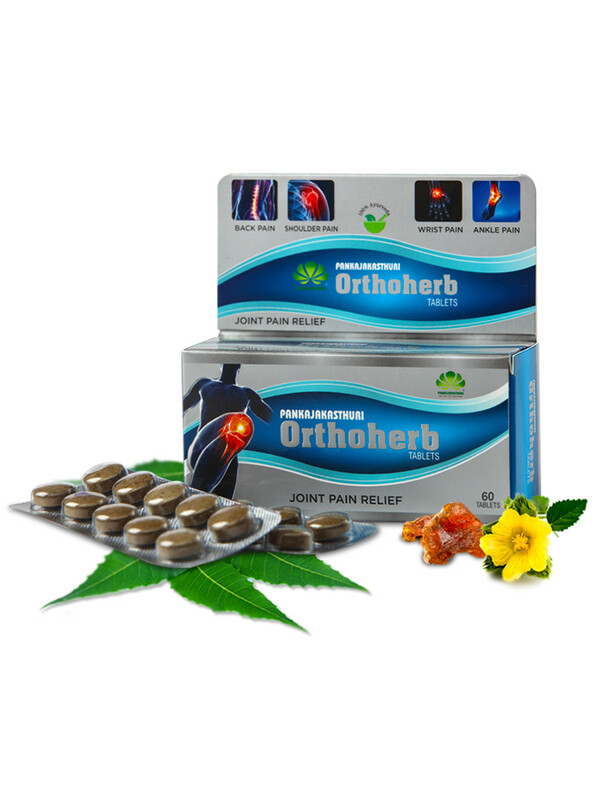 Orthoherb works by protecting the synovial membrane from inflammation and damage, reducing the swelling due to its specific anti-inflammatory and diuretic action, enhancing fluid production thus restoring the synovial fluid balance and consistency at bone joints. 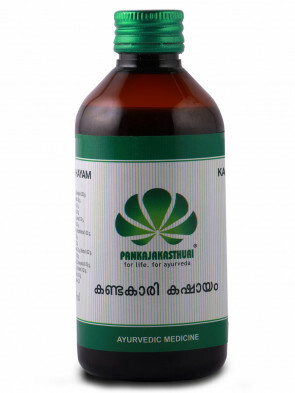 * It gives relief from inflammation, muscle spasm and controls all inflammatory joint complaints. 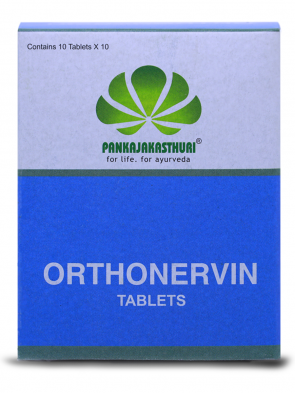 2 tablets 2 times daily after food or as directed by the physician.